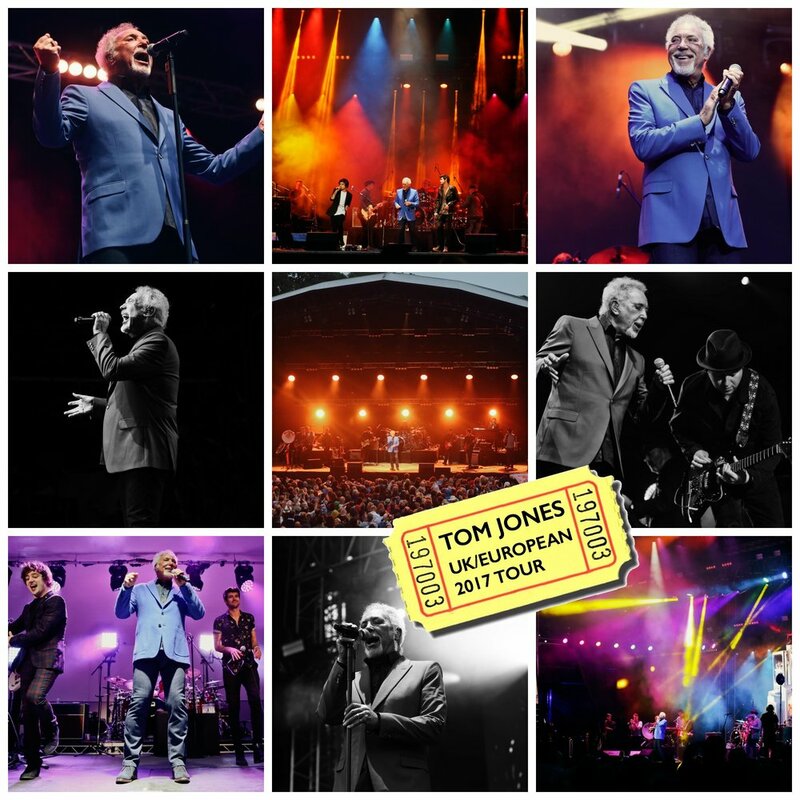 The range is now available worldwide here and will also be available for purchase at Tom Jones' summer shows. 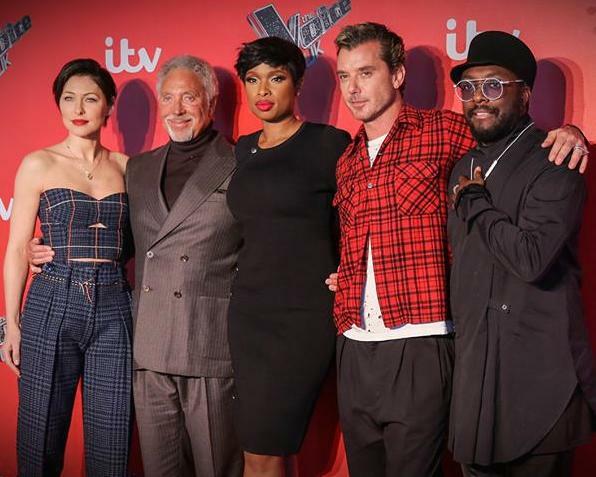 The new series of The Voice UK launches this Saturday 6th January on ITV at 8pm. Lots of great talent to come, who will be joining #TeamTom this year? Tune in to find out, not to be missed! 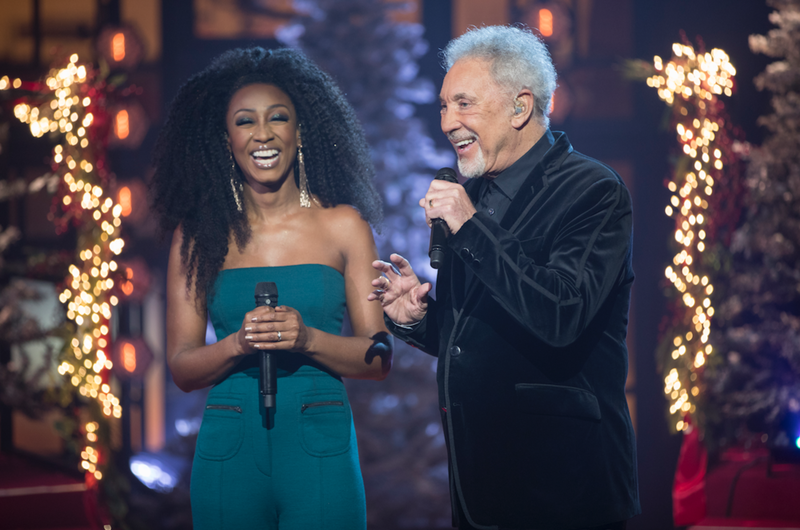 A festive treat, make sure to tune in to celebrate a special evening of music and spiritual cheer as Tom Jones and Beverley Knight host and perform a feast of gospel music, alongside award winning singer/songwriters Jessie Ware, Kwabs, The London Community Gospel Choir and the House Gospel Choir. Recorded in Cardiff, Tom will accompany the audience back home to the South Valleys, where the sounds that led Tom on his musical journey began. to support my upcoming North American tour in May/June 2018. My audiences are in for a treat, these boys are very special! I am really looking forward to be back performing, thanks again for your patience and support as always. Thrilled, to be involved in the upcoming Strange Angels album in tribute to the legendary blues musician Elmore James. It was an honour to be able to record one of my favourite Elmore tracks ‘Done Somebody Wrong’. The album will be released on Jan 26th, with all profits going to two brilliant charities Edible Schoolyard NYC & MusiCares. NPR are premiering my version of ‘Done Somebody Wrong’ right now and you can take a listen here. It was a great honour to receive the Legend award last night in Germany, thank you BAMBI and all my fans for your continued support! Thrilled, to announce, I will be returning to my big red spinning chair to resume my role as a coach on The Voice UK 2018. I am very proud of my discovery from last series, Into The Ark, so I'm excited to hear and see what undiscovered talent the UK has to offer this series. The Voice UK will broadcast in early 2018. Tom's Picks // Stax Records. Summer UK & European Tour - That's a Wrap. We finished up our UK/European summer tour this last weekend in Glasgow! to festivals, to racecourses, to arenas and magnificent Roman amphitheatres, it truly was a joy to experience! and extend my thanks to Into The Ark, who joined us on the road to open up some of our shows. It was a real treat to get to perform with Taylor & Dane and see them grow as artists on this tour. BIG things are coming for these boys!! you really brought the energy and party each and every night! Without your continued support I wouldn't be still doing what I LOVE! So until the next time, take care. Onwards to the US tour starting next month! at the late night Prom The Sound of Soul: Stax Records on 1st September at The Royal Albert Hall in London. and will feature many great musicians and voices including James Morrison, Beverley Knight, Jools Holland and his Rhythm & Blues Orchestra and Ruby Turner. The Proms will be broadcasted across BBC4 (TV) and BBC Radio 3. It's Tom Jones night on BBC4 tonight! At 9pm get ready to revisit "Tom Jones' 1950s: The Decade That Made Me" - Tom takes us on a trip through the decade that shaped his ambition, his talent and his tastes. This is followed at 10pm with "Tom Jones at The BBC" a celebration of performances from the 60s up to the present day! Stay in tonight, tune in and enjoy! It gives me great pleasure to announce my upcoming US tour this fall, my band and I will be hitting the road and playing 21 shows across 13 states! Very much looking forward to performing for you. I hope to see you there! It gives me great pleasure to announce Into The Ark, will be coming out on the road with my band and I this summer, opening some of our shows in the UK! Here is my first ever Spotify playlist, VOICES, which is full of songs from great voices that I love including Alabama Shakes, James Bay, Little Richard, Adele and Roberta Flack to name a few. I would like to make this a collaborative playlist between us, so every Thursday I will be updating VOICES with your song suggestions as well as more of my own. So do let me know what VOICES you love and want added to our playlist. Give VOICES a spin and make sure to hit the follow button for all the latest playlist updates. It’s my pleasure to announce that my band & I will be performing across Europe & the UK this summer. We had such a great time last year playing in various regions and countries and seeing you all having a wonderful time at the shows was great. So I am thrilled to be hitting the road again. Keep your eyes peeled in the coming weeks for concert announcements on my website. It was a real treat to take part in BBC Radio 4's Mastertapes earlier this month. to hear me perform songs from Praise & Blame at the iconic Maida Vale Studios with album producer Ethan Johns and drummer Jeremy Stacey. Alongside hear me chatting to the Mastertapes presenter John Wilson about the recording process and inspiration behind Praise & Blame. Hoorah! Make sure to tune in and see the launch of The Voice UK on ITV Saturday 7th January at 8pm! Tom Jones will be performing and chatting on Die Helene Fischer Show on December 25th at 8.15pm on channels ZDF, ORF and SRF. A very special treat tonight! (Tuesday December 6th) Tom Jones A SoundStage Special Event will premiere on the WTTW channel at 7.30pm (CST). Additional airing Saturday December 10th at 8.30pm (CST) on WTTW. Tom Jones’ SoundStage will air early 2017 on PBS stations nationwide.